The opposition party are also satisfied with the denial of the defence’s application to have the case scrapped from the roll. The Democratic Alliance (DA) has welcomed The Bloemfontein Magistrate’s Court on Tuesday to postpone the Estina fraud case and “denying the defence’s application to have the case scrapped from the roll”. The case was postponed to December 4. “The DA is of the opinion that this postponement extends an opportunity to the NPA [National Prosecuting Authority] to ensure that this trial does not follow the same avenue as that of Free State MECs Mmathabo Leeto and Benny Malakoane, whose cases of corruption, fraud and money laundering were dismissed by the courts due to shoddy work by the NPA,” the party said. The DA added that it remains committed to ensuring that former Free State Premier Ace Magashule and former MECs for Agriculture and Rural Development Mosebenzi Zwane and Mamiki Qabathe are also investigated for the scandal. The Bloemfontein Magistrate’s Court on Tuesday postponed the Estina fraud case and refused to strike it off the roll. According to reports, the state had applied for a postponement. It was reported that Magistrate Collen Nekosi criticised the state for delaying finalisation of the case, and ordered that by November 30, the state should provide all the accused with a finalised case docket and indictment. 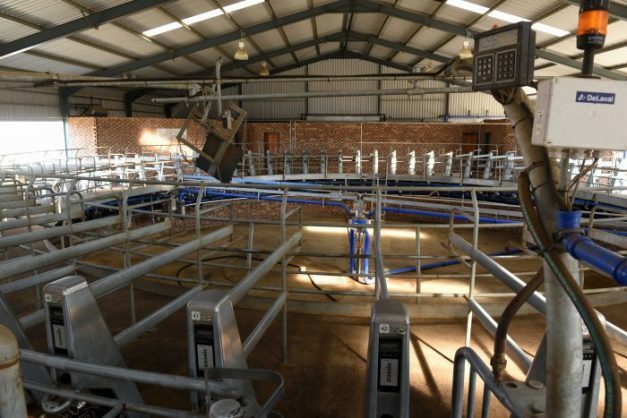 Eight people linked to the Gupta brothers appeared in the court on Tuesday, facing fraud and corruption charges related to more than R200 million that was allegedly defrauded from the Estina Dairy Farm in the Free State. Last week, the case was postponed to Tuesday to allow Magistrate Nekosi to peruse all the documents which were submitted by both the defence and the state. The nephew of the controversial Gupta brothers Varun Gupta, former Oakbay CEO Ronica Ragavan, former Sahara executive Ashu Chawla, former TNA media executive Nazeem Howa, Estina director Kamal Vasram and three Free State provincial government officials – Peter Thabethe, Sylvia Dlamini and Takisi Masiteng – were released on bail ranging from R10 000 and R200 000. The matter is linked to a Free State government dairy project awarded to the company Estina. The charges relate to how more than R200 million, earmarked to benefit more than 100 emerging farmers through the Estina project, was allegedly swindled in 2013 and ended up in various accounts owned and operated by the Gupta family. The Democratic Alliance was embroiled in a court battle with public protector Busisiwe Mkhwebane over her report on the project. They object to the fact that then Free State Premier Ace Magashule and former agriculture MEC Mosebenzi Zwane were not individually investigated.